We preview Saturday’s match against St Mirren at Pittodrie. The Dons return to Pittodrie to face St Mirren in the league, hoping to bounce back from Saturday’s narrow defeat to Celtic. 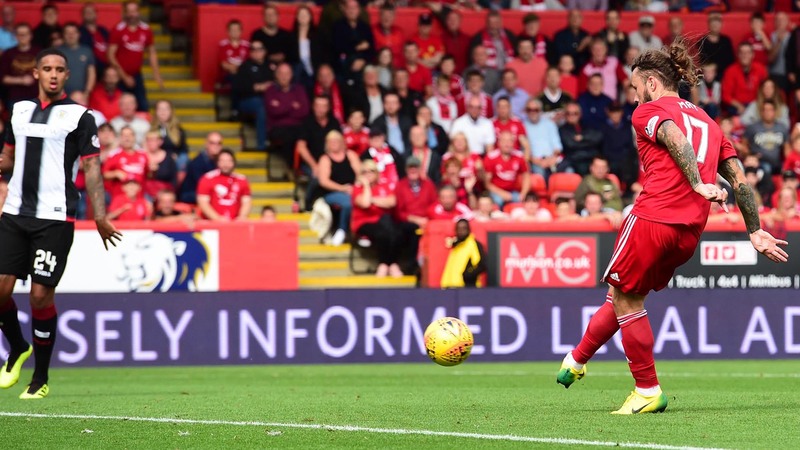 It’s the second time the teams will have faced each other this season and in the first encounter The Dons put in their best performance of the campaign to dismantle The Buddies 4-0 in the Betfred Cup. 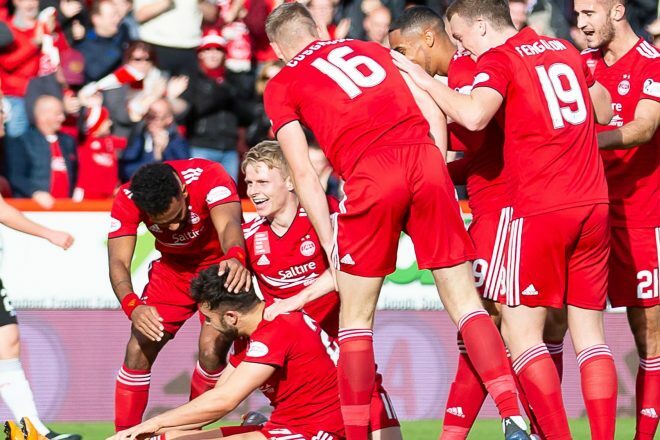 Since then it’s been a frustrating period for Aberdeen with the injuries pilling up and wins hard to come by, although it’s still early days and the club have the Betfred Cup Semi-Final at the end of the month to look forward to. St Mirren have had a tough start to life back in the top flight this season and currently sit one point above the automatic relegation spot. Since the last meeting between the sides there has been a change of management at The Simple Digital Arena with Allan Stubbs replaced by Northern Irishman, Oran Kearney. After a positive 0-0 against Celtic, Kearney’s team have struggled to climb the table losing to Hibernian and Hamilton Accies. On Thursday lunchtime, Derek McInnes and Max Lowe spoke to the media ahead of the match. “We ran out convincing winners here last time, but it needs to be said we were very good on the day and brought a lot of speed and movement to the game and were clinical with our finishing. Something similar would be nice, but we fully expect a tough game and the onus is on us to try and deliver a performance. I was pleased with our performance last week and gave ourselves a chance to get a result at Celtic Park. The goal we lose is unfortunate from our point of view because there’s not really a lot we can do to stop that. We’re a bit unfortunate to not come away with at least a point. We take the positives from that and the fact that we won last time out at home and we want to try and make sure we win this one. “It’s a massive game for us as a team and going into the international break with three points and go into it on a real high. “I think the performance against Celtic was there and everybody could see that, and I think we deserved to come away with at least a point. We weren’t able to do that, but we’ve took confidence from that game and hopefully against St Mirren we can get the three points and perform as well. 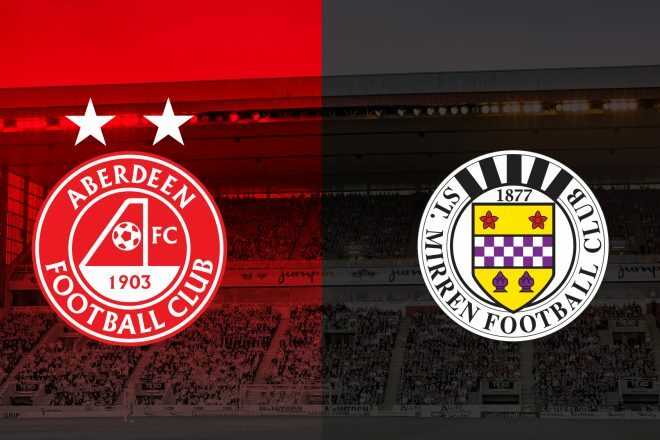 This will be the first time in three years Aberdeen and St Mirren have played on league duty, with the last meeting being a 3-0 win back in February 2015. That day saw Adam Rooney grab a double and Mark Reynolds completed the rout to make it thirteen games without defeat. The League Cup win back in August brought out The Dons’ finest display of the campaign as they ruthlessly dispatched the Paisley side by four goals to nil. Gary Mackay-Steven grabbed a double alongside first half goals from Graeme Shinnie and Stevie May. Last season saw then-St Mirren manager, Jack Ross take his side north for Scottish Cup duty. With the TV cameras in place, The Dons put any chance of a cup shock away by taking the lead through a Rooney penalty early on and would romp home to a 4-1 win. St Mirren have found Pittodrie a difficult place to go over the years with the results hard to come by. The Dons have won 66 of the 103 league ties and there have been 17 wins for Saints with the points being shared on 20 occasions. The Dons have scored 262 goals and conceded 106. The biggest Aberdeen win in the fixture came back in 1929 in a 6-0 hammering at Pittodrie. Benny Yorston’s double after seven minutes had the home side in control and goals from Bob McDermid and John Wilson came before Alec Cheyne’s second half double. The record reads much healthier for The Buddies when facing The Dons at home compared to their visits to Pittodrie and have won three more league matches in Paisley with 43 wins. 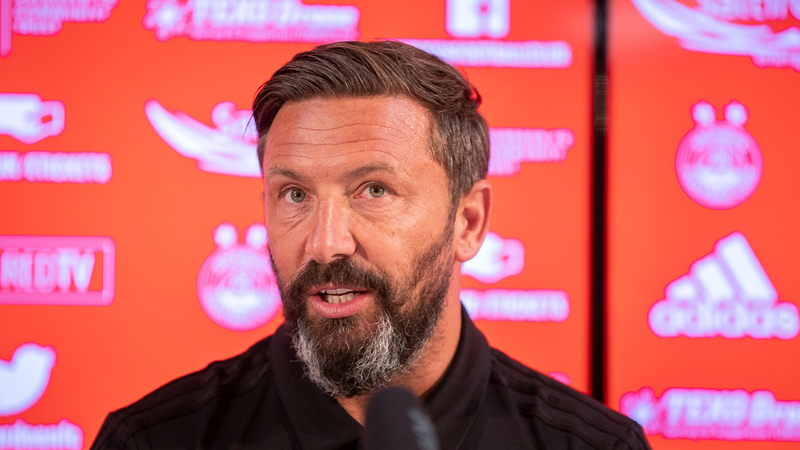 Under the current regime, The Dons have won six times in nine meetings and Derek McInnes is yet to taste defeat against St Mirren with his sides having scored 19 and conceded only four. If you can’t make the game, our RedTV coverage will begin at 2.45pm with Dons legend Brian Irvine joining the commentary team. Video coverage will be available for International subscribers and post-match we will have goal action, highlights, reaction and a full match replay. This was the second time St Mirren had travelled to Pittodrie this season – the previous outing ending in a resounding 4-1 victory for Aberdeen in the league cup. The visitors came into the game in much need of a win, having gone 6 games without a victory prior to this tie, scoring only one goal in the process. Both teams started fairly well in the opening exchanges. Connor McLennan did well down the left-hand side to win an early corner for The Dons which eventually came to nothing after referee Alan Muir blew for a foul on a St Mirren jersey. Simeon Jackson had the first real effort of the game just before the ten-minute mark for the visors. Dons winger GMS was caught in possession inside his own half which allowed Jackson to latch onto the loose ball and get his shot away. His effort was hit with venom, but it sailed straight past the near post and did not trouble Joe Lewis. Aberdeen were enjoying the lion’s share of possession throughout the opening stages, but St Mirren’s 4-4-2 formation looked as though it could be tough to break down. 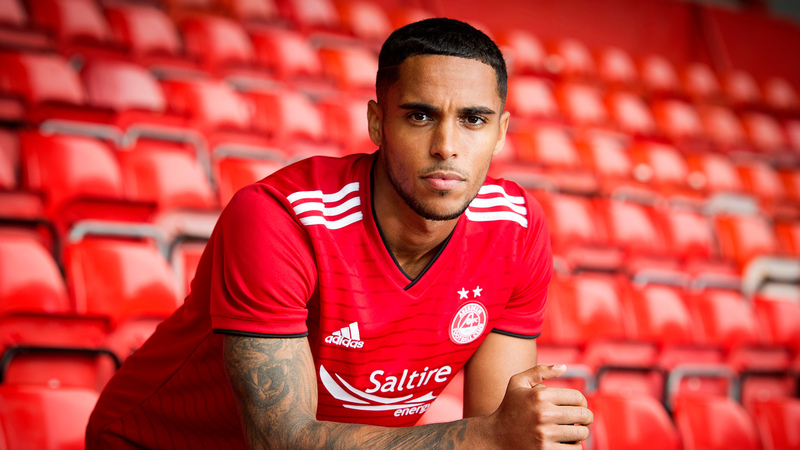 Aberdeen nearly opened the scoring after Max Lowe’s miss-hit shot deflected off Cosgrove and wrong-footed St Mirren keeper Craig Samson, unfortunately for the Dons the ball rolled agonisingly past the far post and the tie remained goalless. GMS was on target twice the last time the sides met and the winger looked to continue his excellent form from the outset, cutting inside and firing a shot inches wide of the post again. A goal looked as though it was coming and on 26 minutes it eventually did courtesy of a brilliant diving header from Sam Cosgrove – his first competitive goal for The Dons. GMS and Logan combined nicely down the right-hand side before the latter deliver an excellent in-swinging ball towards Cosgrove. The Dons striker did well to adjust his body position and get his head under the ball and make a decent connection to fire past Samson who had no chance. Aberdeen looked in the mood and nearly doubled their advantage moments later on the counter-attack. Lewis did well to pick out McLennan down the left-hand side. The youngster did well to get his head up and find GMS on the opposite wing. Mackay-Steven’s first touch was perfect shifting the ball onto his left foot before curling an effort straight back off Samson’s far post. 30 seconds later Samson was picking the ball out of his net for the second time this afternoon after Connor McLennan’s magnificent strike from the edge of the area. Celebrating his first start for The Dons, McLennan latched onto a lay-off from Shinnie and despite being off balance the youngster managed to swing his right foot at it and connected sweetly, the ball flying past Samson and cannoning in off the same post GMS hit seconds before. The Dons were on easy street and Max Lowe made it 3-0 five minutes before the break. After some patient build-up in which Lowe played a big part in, The Dons got a slice of luck when GMS’ shot ricocheted off two St Mirren bodies before dropping at the feet off Lowe. In acres of space and only 10 yards out Lowe made no mistake and calmly slotted past Samson to become the third player of the day to open their goal scoring account for the club. It should’ve been four when Graeme Shinnie was played through on goal, clearly being impeded the Aberdeen captain went down in the area but Alan Muir deemed the challenge acceptable and waved away the claims. Out came the teams for the second half, The Dons looking to add to their first-half goal tally. McLennan looked lively down the left-hand side. St Mirren nearly had a lifeline in freakish circumstances after Jackson closed down Lewis’ clearance. The ball spun up and over Lewis who did well to scramble back and claw the ball back off his line to spare his blushes. Unfortunately, McLennan’s dream start was brought to a premature end after he took a sore one to the shoulder and was forced off with Chris Forrester replacing him. St Mirren were playing with a little more confidence and nearly got back into the tie after Hodgson took advantage of a Shay Logan slip in the penalty area. However, his curling effort failed to trouble Lewis – a real let-off for The Dons. Just as St Mirren looked to pose a threat Cosgrove made it 4-0 after 65 minutes and put the game beyond all doubt. Max Lowe did brilliantly down the left-hand side, cutting inside with a cheeky nutmeg. The left-back got his head up and picked out Cosgrove who’s first time left-footed effort had to much power for Samson who couldn’t keep it out. Cosgrove made way for Bruce Anderson in the final ten minutes, received a deserved standing ovation for his two goals and all-round excellent performance from the 14,003 fans inside Pittodrie. GMS nearly added a fifth in injury time, after some good link-up play with Gleeson in the middle of the park. The Dons carved open the St Mirren defence but Mackay-Steven’s, who probably deserved a goal, finish lacked conviction and was comfortably saved.